Find My Workspace lists over 95% of the serviced offices market in Tanglin. Simply click Request Quote to check pricing for one office, or Add to Basket for multiple offices. 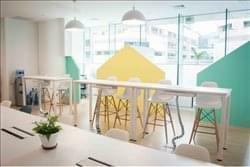 Located just at the fringe of the CBD, seamlessly connected to the rest of Singapore, this Centre provides you with just about everything you need to start your business. With IP Telephony, complimentary WIFI connection, shared meeting rooms and a Front Desk Officer to take on the harder and more mundane bits of office maintenance, servicing and general office management. 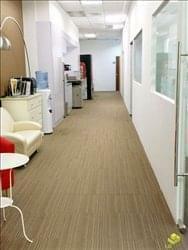 This Centre has office units from 60sqft to 300sqft, for 1 to 8 working desks. The Centre has Virtual Offices Packages to business who do not require a physical office. Packages may be customized to suit your needs. The work spaces are divided into adults-only zones and common zones where parents and children can co-exist in harmony. 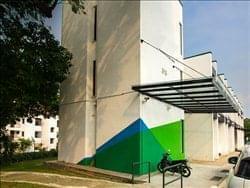 Furthermore the space is connected to a high speed WiFi network and Members have access to the pantry, office facilities, and lockers as well as they can use the address as their registered mailing address. Members also have the opportunity to network with like-minded individuals and promote their services and businesses as well as they have access to a range of workshops and events. Each office comes well-equipped with top-quality fittings, state-of-the-art Cisco IP phone system, high-speed and secure fibre optic internet, 24 hours individually controlled Air-conditioning, accessible 7 days a week. From the welcoming personal business executive to the fully equipped conference room, pantry and stationary area, our facilities provide a one-stop solution for your business needs. This business centre features a spacious lounge providing clients and their guests a place to relax and unwind over a cup of coffee or glass of wine. Virtual office packages start from $15/month while work stations start from $280/ month. Private and shared rooms for 1 to 8 people while flexible terms and daily rates available. To obtain information for your selected Tanglin Serviced Offices, please tick the "Add to basket" box for each office you prefer and complete the form below. We will then send a detailed report via email.